If a product of the nut to be installed in the outside, but inside the space is narrow, can't let the pressure head of riveting machine in a pressure riveting and sprout methods cannot meet the strength requirements, the pressure riveting and rose riveting are not feasible.Must use pull riveting.Applicable to various thickness of plate, pipe (0.5 MM - 6 MM).Using pneumatic or manual pull rivet gun can be a rivet head, convenient and firm;To replace the traditional welding nut, make up the sheet metal, thin fusible pipe welding, welding nut were insufficient. 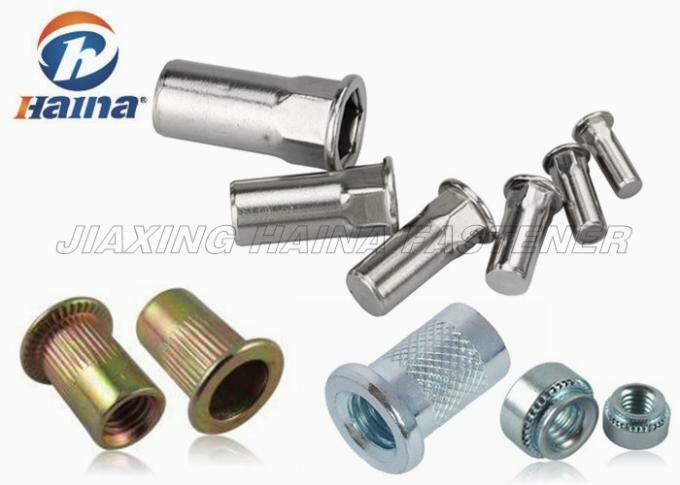 Riveting nut is mainly used in the structure of bearing bolt connection, such as railway vehicle, road buses, boating and other interior parts of connection, improved can prevent the spin riveting nut more excellent than the plane with the plate nut, its advantage is lighter weight, fixed plate without rivet nut, no operation space can still use the back of the base material, etc. Used in all kinds of sheet metal, pipes, and other areas of the manufacturing industrial fastening, now widely used in automobile, aviation, railway, refrigeration, elevators, switch, instrument, home, decoration and other mechanical and electrical assembly and light industrial products.To solve the problem of sheet metal, thin tube welding nut fusible, tapping internal thread easy sliding tooth faults developed, it does not need to tapping internal thread, do not need to welding nut, rivet firm with high efficiency, easy to use. 1. 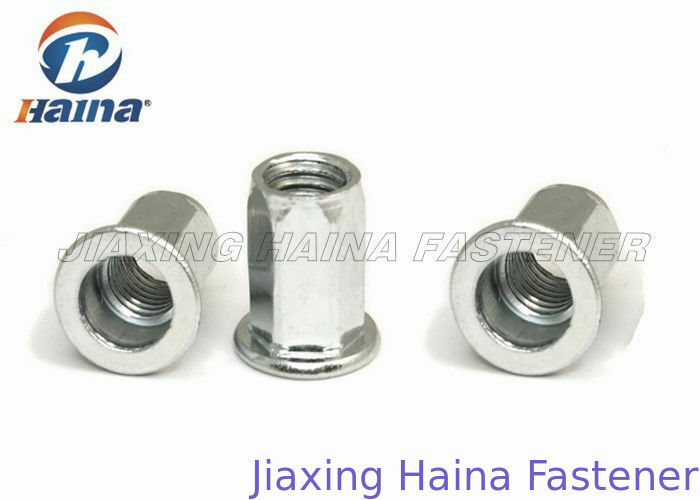 Haina Fastener only provides high quality all kinds of fasteners and best price. 2. All DIN or GB and part ANSI/ASME Standard stainless steel fasterners are in stock. 3. Part Carbon steel nuts are in stock,Like hex nut,weld nut,cage nut,cap nut,flange nut ,wing nut.